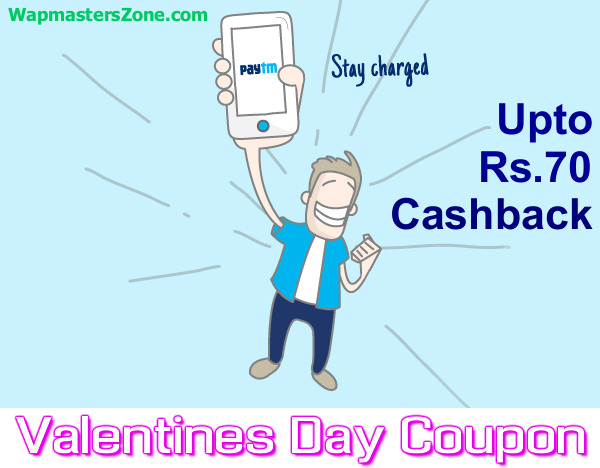 PAYTM Valentines Day 2015 Offer Upto Rs.70 Cashback On Recharges ! Paytm is Offering Upto Rs.70 Cashback to all its users on this valentines day.You need to Recharge with an Minimum Of Rs.150 to avail this cashback. Use promo code LOVE14 to recharge your mobile or pay bills and get 14% (up to Rs.70) cash back!